The S.C. Department of Natural Resources and Cowden Plantation near Jackson, S.C. are offering their thanks and appreciation to our military (active, retired, reserved, disabled) in memory of Spc. Thomas Caughman by hosting two free deer hunts, December 2nd 2016 and December 30th. Successful applicants will have lunch before the hunt as well as the opportunity to tour the Jarrett Rifles Gun Shop and Museum. For those interested in attending one of the hunts, please fill out an application (PDF) and send it to Lauren Ann Williams via Fax (803) 734-4491 or WilliamsLA@dnr.sc.gov. The department is accepting the first 20 applications for each hunt until October 30th 2016. Once the application is received you will be sent a confirmation email with further details about the hunt. Spc. 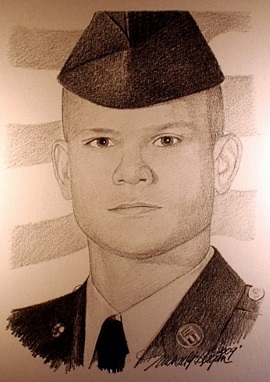 Caughman of Lexington, S.C. was killed in 2004 while serving during Operation Iraqi Freedom when his Humvee was struck by rocket-propelled grenades and small-arms fire in Baghdad.